Home News OPPO Rumors Smartphones OPPO to Launch F9, F9 Pro Soon? 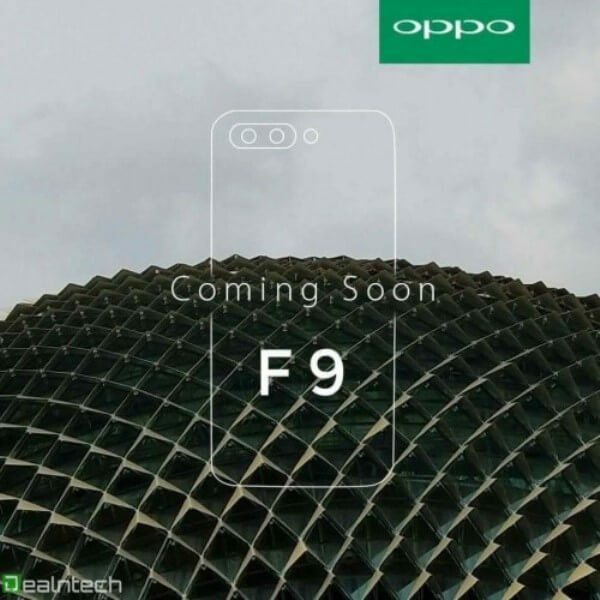 OPPO to Launch F9, F9 Pro Soon? Months after the official launch of the OPPO F7 and the recent unveiling of the Find X, the Chinese mobile manufacturer is said to launch its upcoming smartphones – the F9 and F9 Pro. This is not a drill O-fans as an alleged F9 teaser is already circulating online, revealing that the F9 is arriving soon. Meanwhile, it also suggests that the phone will sport a dual or triple rear camera design. As a selfie-centric device, we can expect that the said handset will boast a better front camera setup. As a recap, the F7 sports a 25-megapixel selfie snapper, and 16-megapixel rear shooter. Both cameras support A.I. features. If you don’t believe that OPPO is already set to unleash its new F-series, then, think again as the F9 and F9 Pro were both spotted on the Bluetooth certification website. However, there are no words yet about its specs.